Ireland’s internationally acclaimed singer-songwriter Eleanor McEvoy announces her new album ‘The Thomas Moore Project’, released July 28 th 2017. 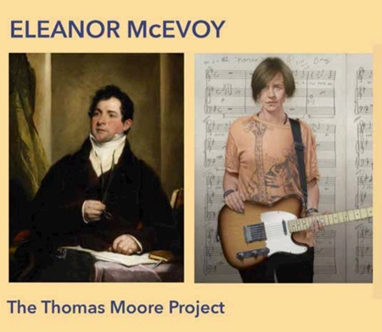 The album marks a significant first step in Eleanor’s lifelong journey discovering the wonderful songs and extraordinary life of Thomas Moore. Produced and arranged by Eleanor, who is best known for her songs ‘Sophie’ and the Irish standard ‘Only A Woman’s Heart’, which this year celebrates its 25 th anniversary, the album more than pays homage to one of the Georgian era’s most beloved writers and entertainers. The Thomas Moore Project celebrates and revitalises some of the lesser and indeed well known material by the said luminary such as Oft In The Stilly Night, The Minstrel Boy and The Harp That Once Through Tara’s Halls. Says Eleanor of the album: “I hope you will enjoy this and join me. My approach is intentionally different. I needed to go further than just pay homage so my arrangements for this choice of 11 songs are of this century”. I’m not sure when I began my intriguing quest but I do remember singing Thomas Moore songs in a choir when I was around nine years of age. My fascination is not just with his music but also with his own place in history in a fantastic artistic period with contrasting social and political upheaval in Europe and Ireland. My journey continues. Eleanor performs vocals, guitars, strings and keyboards on the album and recruited Damon Butcher from The Beautiful South on keyboards, Eamonn Nolan from The RTE Concert Orchestra on flugelhorn, Eoghan O ‘Neill from Moving Hearts, Chris Rea and Riverdance on bass and Guy Rickerby from Riverdance, Duke Special and The RTE Concert Orchestra on drums and percussion. The musicianship on the album echoes throughout every verse and chorus along with McEvoy’s rich, lilting voice and beautiful playing. 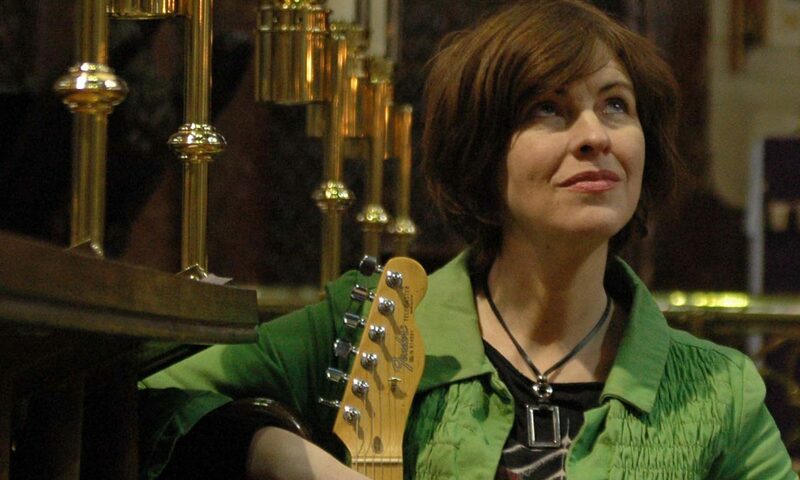 Now based in Wexford, Dublin-born McEvoy’s career originally started as a session musician, which included a long stint with The Irish National Symphony Orchestra and with The Mary Black Band McEvoy decided to develop her own career, and quickly had the title track on The Woman’s Heart compilation And a US record deal with Geffen Records. McEvoy was soon touring the world to promote her eponymous debut album for Geffen, which went on to sell 250,000 copies. At the same time, ‘A Woman’s Heart’ entered the Irish charts, selling over 750,000 copies – and remains one of Ireland’s biggest selling albums of all-time. These successes established McEvoy as one of Ireland’s biggest stars, launching a career that has since seen her release twelve studio albums and tour the world.